Alignment Problems: How systems can help? 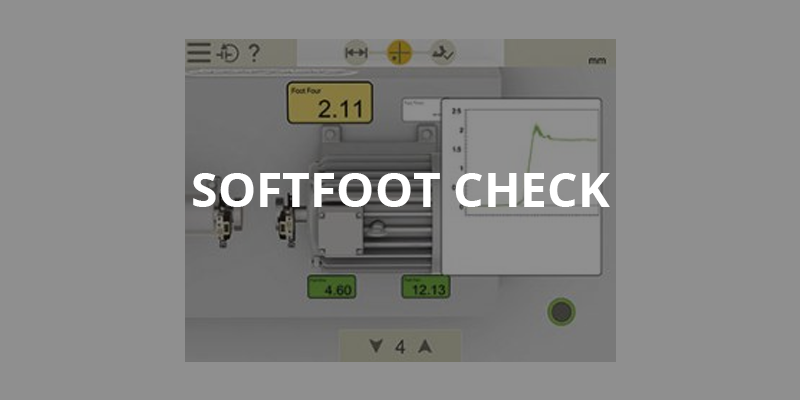 Alignment of machinery is critical in plant operations, and soft foot conditions are especially troublesome. Here’s how various alignment systems can help. You would probably think it foolish to have work done on the front end of your car and not have the alignment checked and if necessary adjusted. If the front end is out of alignment the car would start to vibrate, sometimes excessively, right up the steering column into your hands. This would undoubtedly put greater stress on the front suspension and steering, causing expensive damage. You will see this most of all in the tires. You can go through a set of tires pretty quickly when the front end is out of alignment. In addition, your fuel usage will increase because of the extra power required to push that misaligned car around. You would not knowingly leave your car in a misaligned condition because you know what the consequences will be. Yet machinery is installed and left in a misaligned condition on a regular basis throughout all of North America’s industries. When most maintenance personnel think about misalignment they think of shaft-to-shaft alignment such as an arrangement with two separate shafts and a flexible coupling. But it’s much more than that. I see misalignment in chains and sprockets, V-belts, pulleys, cylinders, and shafts of coupled driven machines. The reasons for this misalignment are: a lack of knowledge, a lack of tools (instruments), and in some cases a perceived lack of time in which to do the job. However, the cost of all this misalignment is in the billions of dollars. For now, let us concentrate on shaft-to-shaft misalignment. To get a better understanding of the problem, visualize how many pieces of coupled driven machine units (pumps, compressors, etc.) there are in the industrial area that you work in. The number would be quite high. Can you imagine how many there are in a huge industrial area like the Great Lakes Region of North America, for example? The initial installation of a piece of equipment has to be done right. The alignment of the shafts (or their misalignment) will have a big influence on the life of the machine. Strangely enough, if the machine goes down after 10 months of operation for a motor bearing or pump seal failure, the alignment is seldom questioned. It is usually equated to a bad bearing, or a poorly installed seal. Maintenance people often say that couplings can handle a lot of misalignment, or that since a machine runs very slowly, they need not be concerned with alignment. I don’t buy that argument! Even with the most forgiving coupling, the constant flexing back and forth of a misaligned shaft causes forces to be transmitted back through the shafts and bearings. These forces can drastically reduce the life expectancy of shafts, bearings and couplings. Coupling manufacturers generally do not try to mislead you about the capability of their couplings. They simply point out that one of the benefits of their couplings is that they have a high tolerance to misalignment. However, to them, shafts, bearings and seals are someone else’s problem. There is more involved in effective machinery maintenance than just shaft misalignment. Soft foot is also a major problem that results in premature machinery failure. Soft foot is a condition that occurs when the mounting feet on the machine do not lie in the same plane as the base to which they are bolted. Soft foot not only makes it impossible to align the shaft, but also causes misalignment internally within the machine. This problem occurs not only in coupled driven machines, but can also be found in many other pieces of equipment, such as chain and belt driven machine units, air motors, cylinders, gearboxes, etc. In a discussion I had with an engineer from Timken Bearings, he said they would like to see internal misalignment down to 0.001 in., and he wasn’t joking. You can spend a lot of time finding and correcting soft foot, but it can be frustrating because you can create soft foot just as easily as you can correct it. However, the effort to correct it is time well spent. There is much more that can be discussed on this subject, but for now let us say that the problem mainly is one of poor machinery installation practices. To demonstrate some of the poor installation practices, let us consider the installation of a belt driven machine unit. The machines are moved into position and the sheaves are installed loosely on the shafts. The mechanic roughly aligns the sheaves and then tightens them on to the taper lock bushings. To align the sheaves, a straight edge, or quite commonly a piece of string, is used to align the four edges of the sheaves. Then the belts are installed and adjusted to the correct tension. After a quick re-check the job is considered finished. Now consider this. The frame that this machine unit sits on is probably bolted to the floor, and because the floor probably is not level, the frame will take on the same contour as the floor. If you bolt the machine to a twisted frame you will distort the machine’s casing as well. In most cases the bearings which support the shaft inside the machine have extremely close clearances, and the distortion in the casing can result in the reduction or removal of these clearances. Therefore, a soft foot correction should be done. Another common problem can occur when tightening the taper lock. If you tighten one side slightly more then the other, it will skew the sheave. This causes the drive to shimmy when rotated and to vibrate axially along the shaft, hammering at the supporting bearings. The belts may be able to withstand these forces, but what about the rest of the equipment? To avoid this problem, a simple dial indicator should be used to check the run-out. A complete discussion of the proper alignment and belt tension is best left for another article, but note that there are low-cost instruments on the market today that will do a much better job than the string or straight edge–and do it faster. One of the constant themes in vogue these days is “doing it right the first time.” Rework, repair, or replacement is very expensive, not only in dollars but in time, especially lost production time. What you need, to do the job right, is the right attitude. You need to be committed to the belief that “I will get the full life expectancy from all of our equipment.” Once you are committed to this belief, the majority of the instruments, tools and training you choose will be aimed at prevention. The primary focus will no longer be predicting the time of failure so that you can do a breakdown analysis. Your goal will be to prevent failure. At a minimum standard, you should have the knowledge (training) of complete installation procedures, including shaft-to-shaft alignment. Even if you choose to have someone else do the work, such as a hired contractor, either you or someone on your staff should be able to verify that the work has been done correctly the first time. Defining your requirements and goals for your machinery installation should be your starting point. Once you know what it is that you want to achieve, you can buy the right tools or training for the job. For instance, there is not much point in buying a dial set that will only allow you to do rim and face alignment, when for many pieces of equipment the reverse dial procedure is the one that is recommended. You may want to consider a laser alignment system, and if so you will want to make certain that you choose the system which best suits your requirements.